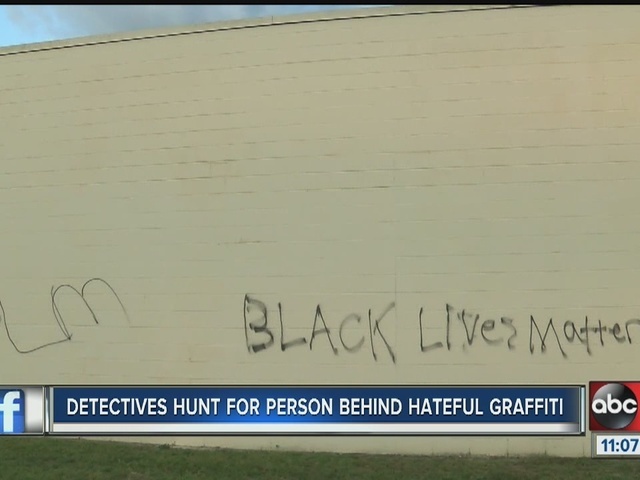 Deputies found graffiti in Hillsborough County at two different locations. 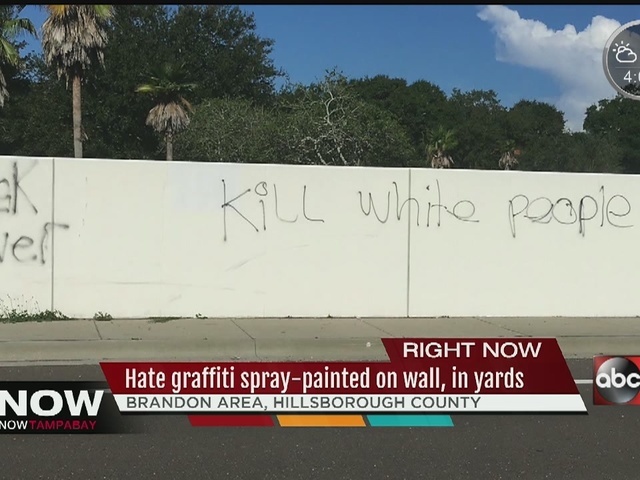 One wall was hit along Gornto Lake Road in Brandon, with the phrase "kill white people" spray painted. 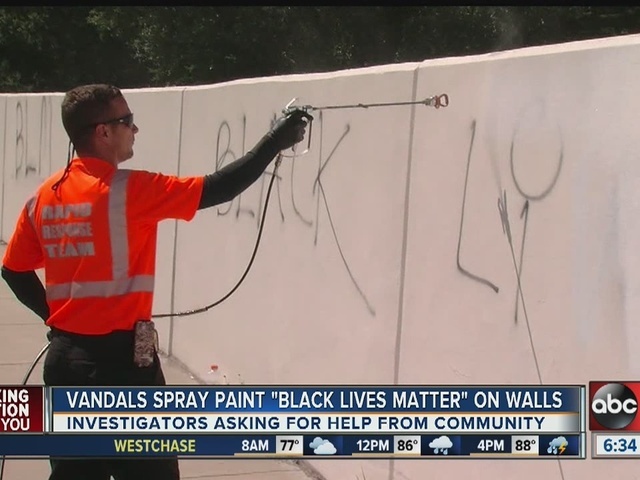 Other tags read "black lives matter" and "BLM." A crew painted over the phrases. “It’s uncalled for, there’s a way to protest, there’s a way not to, this is just, it hurts everybody," Cat D'Alessandro said. She saw a deputy along the road working to cover up the hate message, bought her own spray paint cans and helped out. “I was kind of sad really because why does it have to be like, why does it have to get to this," she said. The Hillsborough County Sheriff's office said they don't know who did this and it's not the only damage. Less than a 10 minute drive away, a trailer was hit with similar messages. The Trump sign in their front yard was painted over. “Yeah I’m pissed off, very pissed, because this just ruined our paint job and it makes our neighborhood look like trash now," Stacy Hatfield said. Hatfield said it's wrong to graffiti a house because the owner is sharing who they want to vote for. Hatfield doesn't know who that could be. D'Allesando said she hopes it doesn't happen again. "It makes me sad that it’s gotten to this much hate when we really should love and care about each other,” she said.